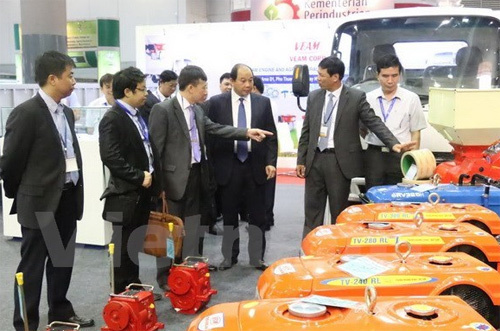 Vietnamese companies recently displayed their technological products at the INAGRITECH Indonesia 2016, an international event on agricultural technology which opened on August 25, for the first time. 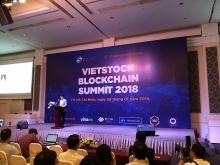 Le Phan Hai, Head of Business Division of the Vietnam Engine and Agricultural Machinery Corporation or VEAM, said that the company has exported agricultural machineries to Indonesia and is planning to export a truck line to the Southeast Asian country. Hai said the company is also introducing right hand steering wheel trucks that are suitable with the Indonesian market at the event. 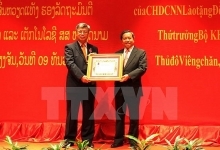 The Tran Hung Dao Mechanical Company joins the event. INAGRITECH Indonesia 2016, which ran until August 27, attracted 350 exhibitors from 12 countries in and outside the Southeast Asian region, and displayed products such as rice, products from palm trees, sugarcane, corn, and forestry products and machinery used in agriculture./.